With pilots or drills you can execute simultaneous operations. From Ø 7 To Ø 85, with progression of 0.5 mm. Everything is fixed simply by means of two screws with a wide range of toolholders. 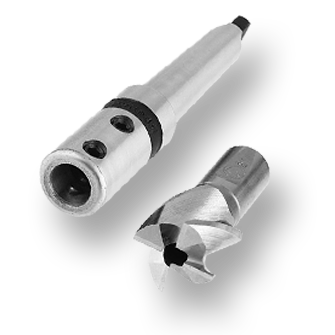 The Counterboring Sysyem POLLEDRI, allow you to quickly make up for special tools, as it is used by material stock and the prices are definitely advantageous compared to the special, as they are built in series.